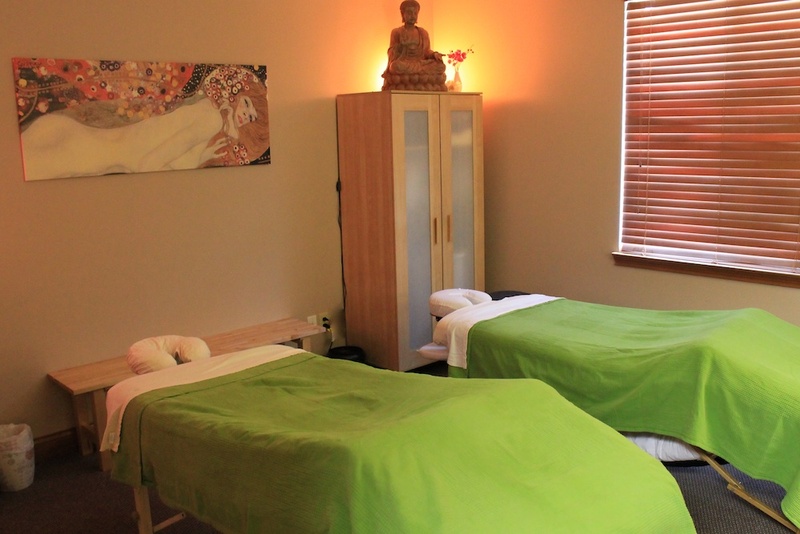 Flourish Massage & Bodywork offers our spacious couples massage room for our clients to enjoy any and all of our treatments. Why not treat yourself to the relaxation and health benefits of massage, facials and/or aromatherapy right along side your partner or loved one? Enjoy one of our signature essential oil blends and hot steamy towel on us, while we pamper you in the couples room. We will make sure the beds are warm and lighting is just right to send you both off into a dream state together! Our couples love this experience any time of the year. We see many people enjoying their anniversaries, birthdays, Valentine’s Day and other special occasions together here at Flourish. All you have to do is book two appointments with separate therapists and request that you be in the couples room. If you should have any trouble finding a time that works for you online, please don’t hesitate to call. Swedish, Deep Tissue, Reflexology, Trigger Point, CranioSacral, PreNatal Massage, Lymphatic Drainage, Myofascial Release, Thai Yoga Massage, Injury Treatment, Aromatouch, Aromatherapy, Purium & doTerra Consultants.